Tropical Storm Lidia bore down on the plush Mexican resort area of Los Cabos Thursday, dumping torrential rains on a wide swath of the country and prompting officials to evacuate residents. Lidia formed Wednesday in the Pacific Ocean and was already wreaking havoc along the coast and causing downpours as far inland as Mexico City ahead of its expected landfall Thursday night at the southern tip of the Baja California peninsula. That area's pristine, turquoise-water beaches are home to the strip of luxury resorts known as Los Cabos, which draws more than a million tourists each year. 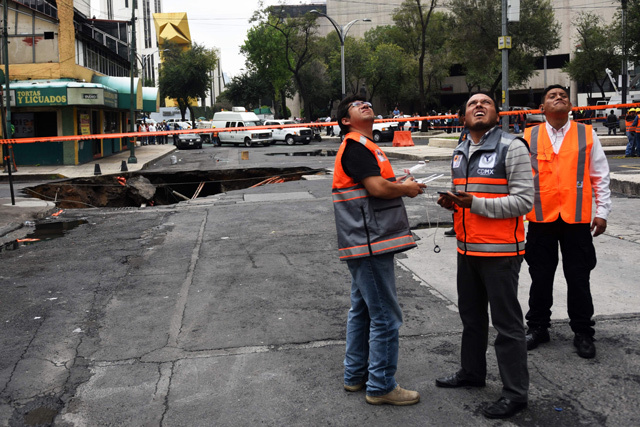 Around 0000 GMT, the storm was 40 kilometers (25 miles) southwest of the Cabo San Lucas resort - favored by many American and Canadian holidaymakers - and was traveling at 13 kilometers an hour with sustained winds of 100 kilometers an hour according to the National Meteorological Service. The Navy had deployed sailors and vehicles to the peninsula to carry out evacuations, while authorities in the state of Baja California Sur shut down its three international airports. 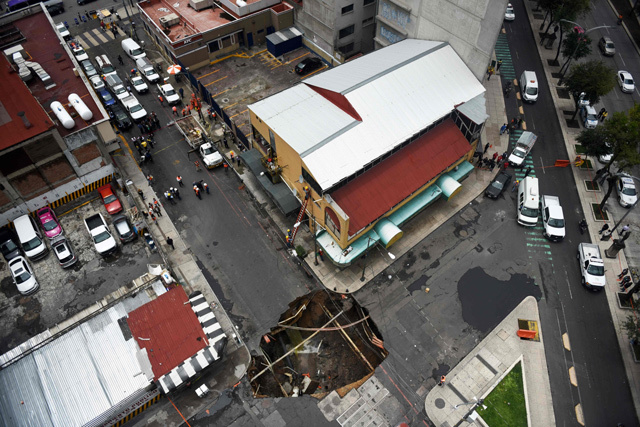 In Mexico City, a huge downpour caused by Lidia triggered a large cave-in on a central street Thursday, opening a gaping hole at least 10 meters (33 feet) wide and seven meters deep just steps from one of the city's main thoroughfares, Paseo de la Reforma. On Wednesday night, the international airport in the capital canceled 18 flights and diverted 40 arriving planes - including one carrying Nobel Peace Prize winner Malala Yousafzai, who was on her way to give a speech but found herself temporarily diverted to Cancun, some 1,600 kilometers (1,000 miles) away. The head of the national water commission, Roberto Ramirez de la Parra, warned of torrential rains in seven western states stretching more than half the length of Mexico, and waves up to six meters high off the coast of Baja California and Sinaloa.